When you spend 120,640 hours (29 years x 80 hour work weeks) focusing on the details of each and every repair, you’re perhaps obsessive compulsive or a real car fanatic. 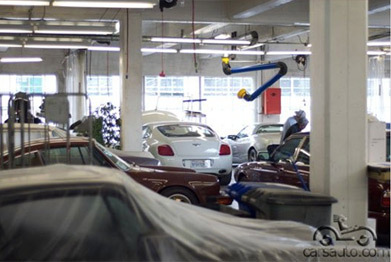 You will not find a more competent, focused, qualified, pristine repair facility in all of Northern California. That’s because our team is possibly the most obsessive on the planet–but that’s a characteristic you want in the staff that’s in charge of returning your car to pre-damage condition. As a team, we meticulously tend to each and every detail with an unrivaled-fanatical obsession. We believe in excellence and together, our combined skills and pure enthusiasm make us an award-winning automotive repair facility capable of delivering repairs of astoundingly attention to detail.